PURE ROK H10 combines state-of-the-art design with low-cost manufacturing techniques in a unique dual-action hybrid polluted water converter unit. 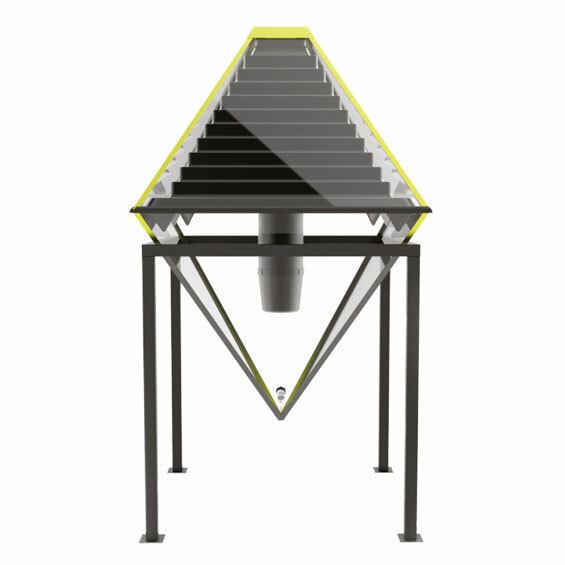 With no moving parts, no pumps and no need for external artificial power sources, PURE ROK’s H10 units use nothing except the sun and gravity itself to convert foul or polluted water, including brackish water, into clean, pure drinking water through an innovative and highly effective evaporation, condensation and collection process which operates in conjunction with its gravity-powered filtration system. Simple to operate and easy to maintain, each PURE ROK H10 unit is able to produce an average of 10 gallons of pure water per 24 hour period in normal to high sunlight conditions – sufficient to provide a family of 10 with enough safe and pure drinking water. PURE ROK units will, where possible, be assembled and distributed on a territory-by-territory basis – not only to reduce transport costs, but also to generate local employment – and will be marketed to governments, government agencies, businesses as well as relevant health charities and NGO’s worldwide.